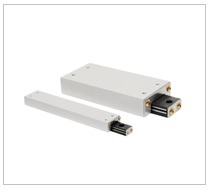 Linear motion in action from Del-tron! 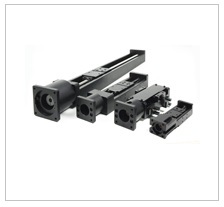 Del-Tron Precision, Inc. was founded in order to serve the needs of automated equipment manufacturers for innovative, high quality and reasonably priced anti-friction linear bearings. After 30 years, Del-tron remains firmly focused on that original premise. 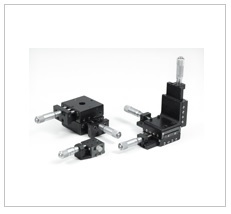 Although we currently offer one of the broadest product ranges in the industry, Deltron still concentrate on our greatest strength, which is to offer components which provide a reliable mechanical interface for modern industrial equipment. 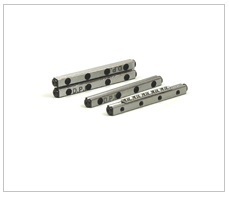 The originator of the sub-miniature ball bearing slide assembly, Del-Tron Precision began operations in 1974 supplying original equipment manufacturers with the world’s first commercially available sub miniature ball slide. Del-Tron has maintained the same high level of innovation by continually developing new products that deliver important advantages to its customers. Hundreds of thousands of Del-Tron slides, positioning stages, ball and lead screw actuators and other linear motion devices have been incorporated into medical diagnostic and other equipment, semiconductor processing equipment, computer peripherals, assembly systems, scientific instruments and many other products. This website provides complete product information for all of these products as well as 3D models in all major computer aided design (CAD) formats. Visitors can download a free viewer to view, zoom, pan and rotate 3D models of Del-Tron products with CAD software. Please call us to discuss your requirements. We will recommend cost-effective solution to meet your needs.